The author looks at the social and religious dynamics of the cultural and political backgrounds of Jesus' time. This book was particularly helpful for specific details and helpful insights that have been missed in the many other sources I have read on this topic and era. He especially provides important perspectives on the character and relationship between the various Jewish factions and movements of the time. He discusses more about the actual mechanics of synagogue operation than I have been able to find from other specialists. 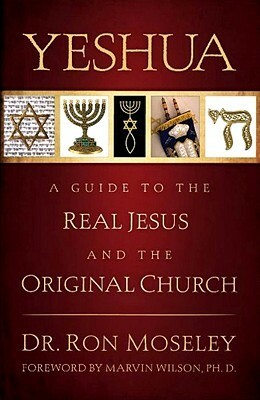 From his study of the synagogue pattern of the era, he develops here his focus on how the synagogue pattern was carried over to become the church pattern. This will be enlightening to any students of the first century dynamics affecting the development of the Christian movement and the Rabbinic Judaism in the first few centuries of the Common Era of our calendar. He is also helpful in seeing more stage-by-stage details of the gradual movement form the Jewish character of the Christian movement to the more Greco-Roman patterns and structure. One thing I found puzzling or confusing in the latter is his reference several times (usually in a negative fashion) to the Roman Church. Moseley contrasts the growing changes in terms of the "orthodox" and the Roman church. It was not clear why he thinks the church at Rome was the focus of what he describes concerning the developing Europeanizing and anti-Jewish trends. His usage and terminology sound like he means the congregation Paul wrote to in Rome, the church that Clement (and two others named Clement) served in the late 1st century and early 2nd century. But sometimes it seems he has something more suprahistorical in mind. He might have been reading back into the first century the much later rift between "Rome" and the Protestants of the late Middle Ages. That would not be relevant to the stated topic. The Church of Rome was "orthodox" in regard to all the decisions of the early councils. His time references are sometimes vague, also, in regard to later characteristics of Rabbinic Judaism that he references for some insights into the first century. He refers to the Roman Church almost like a movement or an "official" entity in an era when that church was not particularly influential as far as I can tell. Overall in the teaching and doctrinal movements, Alexandria and Antioch were the most important patriarchates. Once Moseley even attributes to "the Roman church" ideas, events and specific persons who were in Alexandria (a traditionally Greek and heavily Jewish city), not Rome. The weight and centre of the Empire shifted to Constantinople under the new Emperor Constantine from the early 4th century, which he identifies as the definitive period of structural and ideological change for the Christian movement. The author seems to ignore the Eastern axis of the church, which was much more influential than the church of Rome. Moseley seems unaware of any of the persons or movements of the Eastern Mediterranean churches and Asian movements that even today still exist in Eastern Orthodox and Oriental Orthodox institutional and cultural structures. The Church in Rome was considered one of the original "patriarchates" only in an honorary sense, because that city was the original capital of the Empire. The association of Rome and that patriarchate with Peter came only very late in western history (in the 900s AD), as a dynamic of consolidation of the Roman structure in western Europe in light of the political chaos in Europe. After the Germanic invasion, Rome and Europe got cut off from the center of activity of the Roman Empire in Constantinople and the Christian movement in the eastern Mediterranean and the Asian territories. This book will be a positive value for anyone desiring to understand the context of Jesus' teachings and the discussions in the Gospels as well as the discussions with the new churches in the other documents of the New Testament. Sign into Goodreads to see if any of your friends have read Yeshua.